Do you have students ready to take reading to the next level? 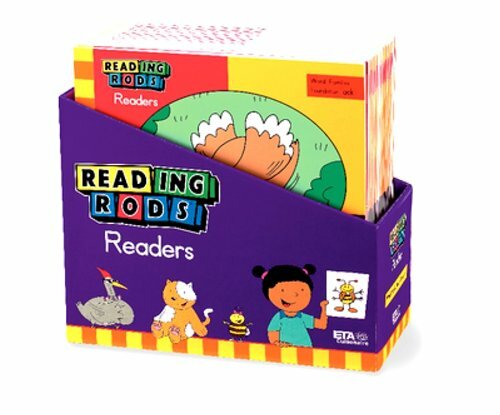 Reading RodsReaders are designed to meet the needs of readers who are building criticalliteracy skills. These lively stories have delightful illustrations with focusletters and sounds reinforced with colored type. Clearly stated target skillsare shown on the cover of each title. This word families set targets short andlong vowel word families. Plus you can pair these titles with reading rods(not included) to reinforce phonics skills and improve reading accuracy. Add-On Set comes with 28 books (1 copy of 28 different titles), and ateacher's guide filled with tips and activities. Each title targets short andlong vowel word families. Educational products, manipulatives, and kits incorporate applied math andscience principles into classroom and homeschool-based projects. Teachers inpre-K, elementary, and secondary classrooms use educational kits, products,and manipulatives alongside math, science, literacy, and STEM curriculum todemonstrate concepts and real-world applications through hands-on activities.